Alive! 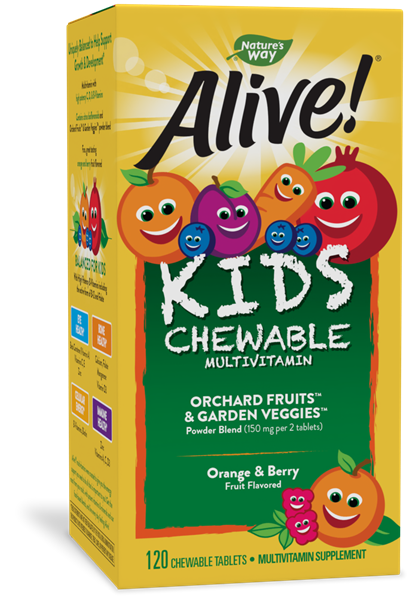 Children’s Multi Chewables / 120 ct - Nature's Way®. Children 2 years of age and older, chew 2 tablets daily. If taking any medications, consult a healthcare professional before use.